Volume 8 | Church Edition Curriculum | What's in the Bible? In Volume 8: Words to Make Us Wise [Psalms, Proverbs & the Writings], you will explore the Wisdom Books! Learn all about poetry in the Bible through the books of Job and Psalms, and then Sunday School Lady finds meaning in Proverbs, Eccelesiastes and even Song of Solomon (a book of love songs!). Volume 8 contains 4 weeks. 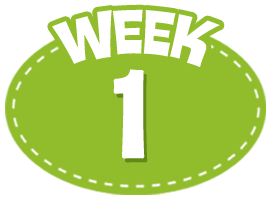 Week 1: The children will learn about Biblical poetry and hear stories from the book of Job. 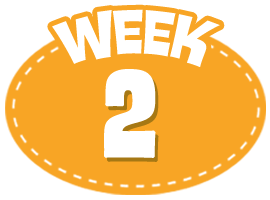 Week 2: The children will learn about the book of Psalms (the second book in the Writings). 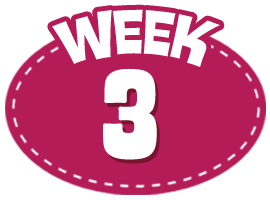 Week 3: The children will learn principles from the book of Proverbs and discuss how to make wise choices. 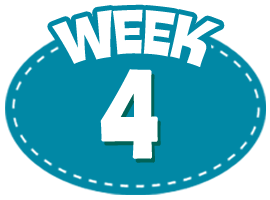 Week 4: The children will learn about Ecclesiastes and Song of Solomon and review the Wisdom Books. Video 1 Welcome Custom Welcome video: Buck Denver remembers what happened to him this week. Small Group 1 Relationship Building Each child has the chance to share something that happened to him/her this week. Video 2 Learn: Poems of the Bible The Bible is full of poetry! Learn what kind of poems there are in the Bible and how they teach us about God. Small Group 2 Alphabet Acrostic Each small group answers questions about the video and then writes an acrostic poem. Video 3 Learn: Job Sunday School Lady tells the story of Job and his journey with God. Small Group 3 Clive's Clue Hunt This hide-and-seek game encourages kids to find clue cards around the classroom, and answer questions about Job. Video 1 Welcome Custom Welcome video: Sunday School Lady shows up and tells Buck about her week. Small Group 1 Relationship Building Each child draws a picture to show how he/she felt this week. Video 2 Learn: The Silent "P" Learn all about the Psalms - the Bible's poems and songs. Small Group 2 Psalm Mash Up The Psalms provide the lyrics for some of our favorite hymns - take turn singing them in different musical styles! Video 3 Learn: Psalms Meet David, the writer of the Psalms, and learn all about the different types of Pslams he wrote. Small Group 3 Psalm Cards Practice writing your own psalms! Everyone has a chance to answer questions and write their own Psalms. Video 1 Welcome Custom Welcome Video: Someone left Buck Denver an encouraging note in his dressing room! Small Group 1 Relationship Building Each child has the chance to encourage the person next to him/her. Video 2 Learn: Smart vs. Wise Sunday School Lady explains the difference between being smart and being wise. Small Group 2 Smart vs. Wise This active game has kids up and moving around the room as they determine whether actions are smart or wise. Video 3 Learn: Proverbs Learn all about the Proverbs - short sayings full of godly principles. Small Group 3 Principles vs. Wisdom In this Bible look-up game, kids identify the principles in some famous proverbs. Video 1 Welcome Custom Welcome Video: Buck Denver practices making different faces for his newsman warm-ups. Small Group 1 Relationship Building Encourage each child to make a face that explains how they felt this week. Video 2 Learn: Ecclesiastes Sunday School Lady teaches about the book of Ecclesiastes, which is actually a sermon! Small Group 2 The Preacher In this fun dress-up game, kids take turns dressing up as a preacher and "preaching" from the book of Ecclesiastes. Video 3 Learn: Song of Solomon and Review Learn about the love poems in Song of Solomon, and then review all of the writings! Small Group 3 Writings Review This is a tic-tac-toe-like game that has kids build a game board by answering questions about the video.